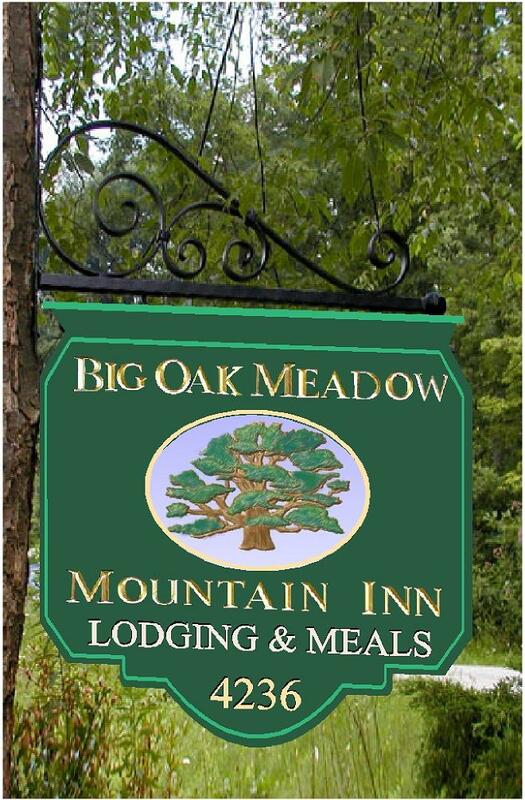 This HDU sign has V-carved and gold-leaf gilded text, and a 3-D carved and artist-painted oak tree as an applique. The sign's background is then spray-painted and the text, borders and artwork are hand-painted. This outdoor sign is clear-coated twice as extra protection against UV radiation and rain and snow. The sign can be mounted on a wall, on a post or between two posts, or hung from a wood or iron hanger from the eye-hooks on the top (as shown in the photo).